The Communist and Workers’ Parties denounce the anti-communist fiesta being organized by the Estonian Presidency of the EU. The Communist and Workers Parties around the World made statement concerning the anti-communist fiesta being organized by the Estonian Presidency of the EU. It was also announced that the statement is welcoming more signatures. 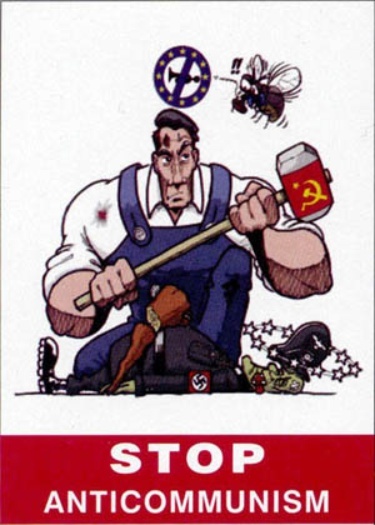 “The Communist and Workers Parties denounce the anti-communist fiesta being organized by the Estonian Presidency of the EU, in the framework of the so-called “European Day of Remembrance for the victims of totalitarian regimes”- as the EU has been attempting in recent years to establish the 23rd of August. The anti-communist meeting aims to slander socialism and its unprecedented achievements for the workers, to falsify history, to anti-historically and unacceptably equate communism with the monster of fascism and its atrocities. The provocative identification of communism with fascism means exonerating fascism and the womb that gives birth to and nourishes it, the exploitative capitalist system. This is why, when communists are being persecuted and condemned and communist parties are being banned in a number of EU countries, at the same time honours are being bestowed on and pensions provided to the Nazi collaborators and their political descendants.